Tunis is an artist's town - potters, painters and the like, so I had better take some time to describe the art scene. 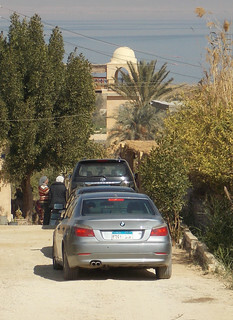 Mahmoud Youssef's Pottery Workshop had the most prominent sign and the largest group of visitors. 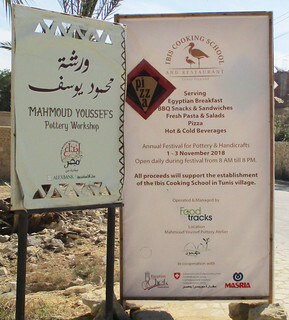 Of course, it was lunchtime and Mahmoud also was serving pizza courtesy of the Ibis Cooking School on the same site. 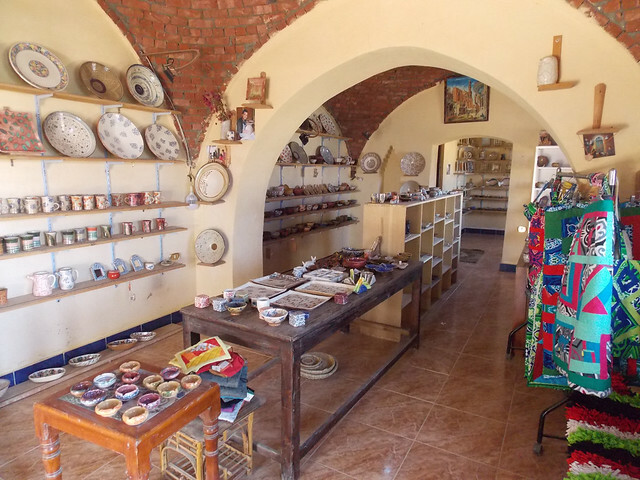 We went straight into the pottery shop and found a nice selection of handcrafted items. 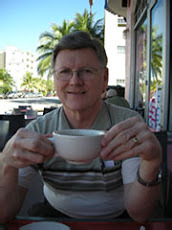 I thought about picking up a coffee mug but couldn't find one with a "Tunis, Egypt" inscription fired into it. 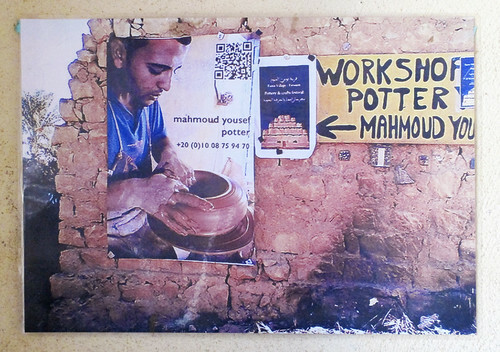 On display was a poster of Mahmoud at work. As we left, we noticed that the crowd was largely lined up for the pizza which was being prepared on the spot. 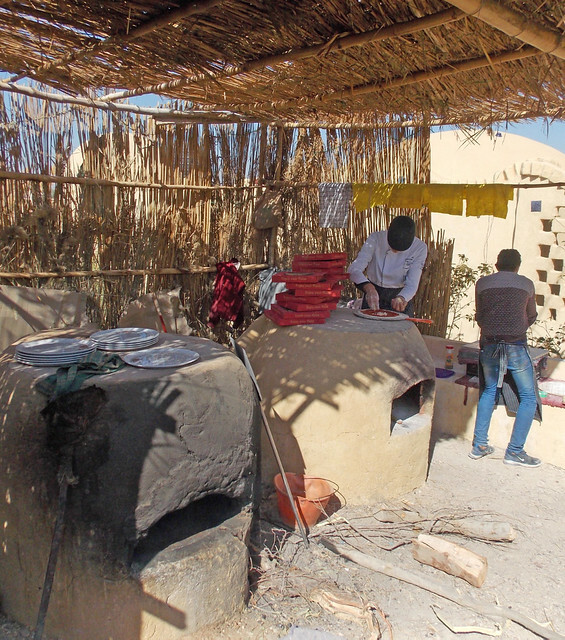 Aharam Online offers an article describing Mohamad Yousseff's pottery workshop and the surrounding area in a 2016 article found here.